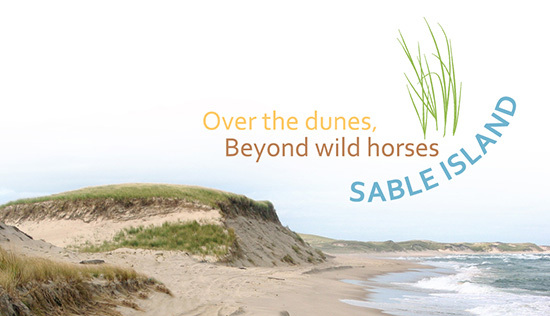 The Nova Scotia Museum of Natural History has launched a new permanent exhibit, Sable Island: Over the Dunes, Beyond Wild Horses. Research and development in science and exhibit technology began more than two years ago. A planning team used the natural history collection to help convey the rich diversity of plants and animals. "Everybody on the team has been very keen, and I attribute that to the profound subject matter," said David Carter, design lead. "The spirit of Sable Island helped us through the production, helping us achieve an engaging experience for visitors. "It is truly a living exhibit because it has program space for the science community and Sable Island researchers to use for presentations to the public, and it is well suited for school groups." Sable Island National Park Reserve, 300 kilometers southeast of Halifax, is famous for its wild horses and shipwrecks. The exhibit explores the rich diversity of plants and animals that thrive on the sandbar island despite the winds, waves and isolation. The 2,000-square-foot exhibit includes a recreated research station and a sandbox that allows visitors to change the island's topography by moving the sand. The exhibit also includes a rearing horse skeleton that rotates so visitors can see it against a backdrop of a window mural of two full-sized stallions. The exhibit features selections from the largest Maritimes walrus collection in the world, with skull, jawbone and tusk specimens dating back to the mid-1700s.